The IPS-2042FX Ethernet switch is a lite-managed redundant ring switch with four 10/100Base-T(X) ports with PoE P.S.E. function and two 10/100Base-T(X)/two 100Base-FX fiber ports. The IPS series of switches include Power over Ethernet, a system to transmit electrical power, along with data, to remote devices over a standard twisted-pair cable in an Ethernet network. Each IPS switch has four 10/100Base-T(X) P.S.E. (Power Sourcing Equipment) ports. P.S.E. is a device (a switch or hub for example) that provides power in a PoE setup. 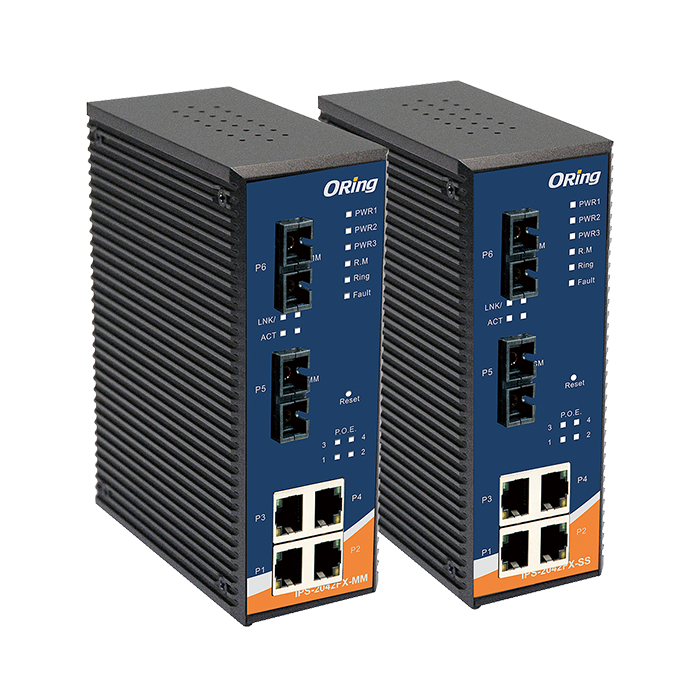 Offering complete Ethernet Redundancy protocol, O-Ring (recovery time < 10ms over 250 units of connection), Open-Ring, O-Chain, and STP/RSTP (IEEE802.1w/D) expertly protect mission-critical applications from network interruptions and temporary malfunctions with fast recovery technology. The IPS-2042FX can be managed, centralized and made convenient all by a powerful windows utility — Open-Vision. The additional wide operating temperature range (from -40°C to 70°C) satisfies the demand of unique operating environments. 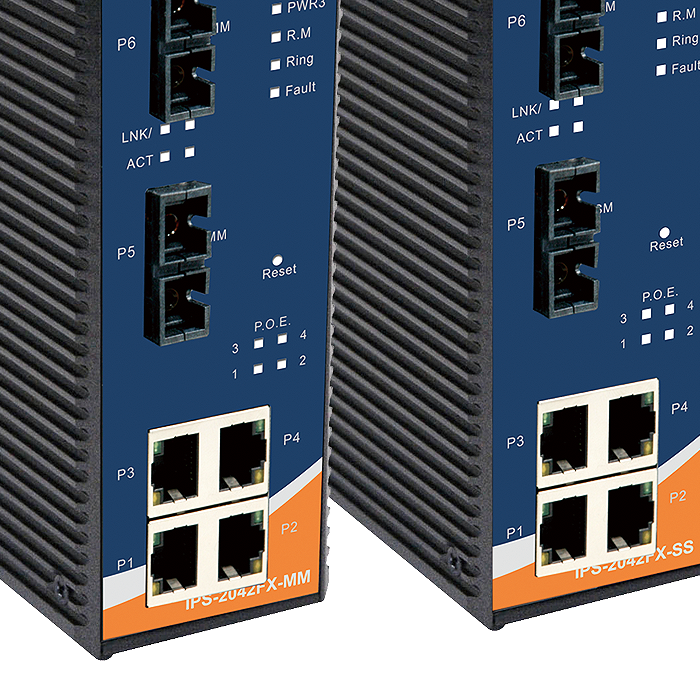 This switch is the choice for Fiber Ethernet applications.